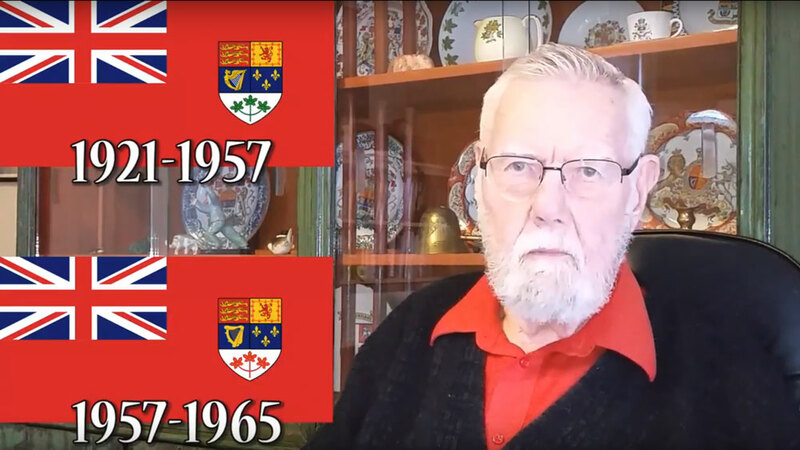 Charles D. Maginley of Mahone Bay (who happens to be my stepfather) has been collecting old flags and plates featuring the heraldry of Canada for some years. He’s a former naval officer and Canadian Coast Guard instructor, and has authored some books on the history of the Canadian Coast Guard, so the flags are a bit of a sideline. He put together a talk about the Canadian Red Ensign, formerly the official flag of Canada before we got the Maple Leaf Flag in 1965. He has presented the talk, along with real flags and pictures of ships sailing them, to several groups such as the Master Mariners and the gatherings of sailing aficionados one finds around Lunenburg. It’s a specialized window on history which true history buffs find interesting. I thought his talk should get immortalized on YouTube so that such people who are not so fortunate to live in our local part of Nova Scotia will be able to find it. It is due to CBC Radio One that I feel a part of Canada. 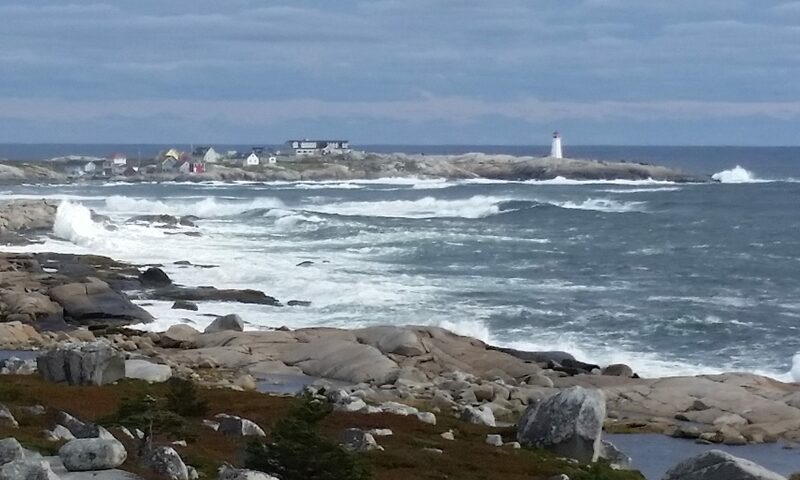 Through the magic of radio I have travelled to all parts of this country: remote northern communities, cities, small towns, art galleries, churches, schools and concert halls. Through its brilliant on-air talent and behind-the-scenes producers, I have talked with writers, musicians, authors, politicians, philosophers, scientists, economists and ordinary people. Recently, its brilliant radio drama has taken me outside the wire and home again with our soldiers in Afghanistan. My sense of being Canadian is largely due to CBC Radio, my companion in the kitchen, in the workshop, in the car and in the middle of the night. I can’t imagine this country without it.